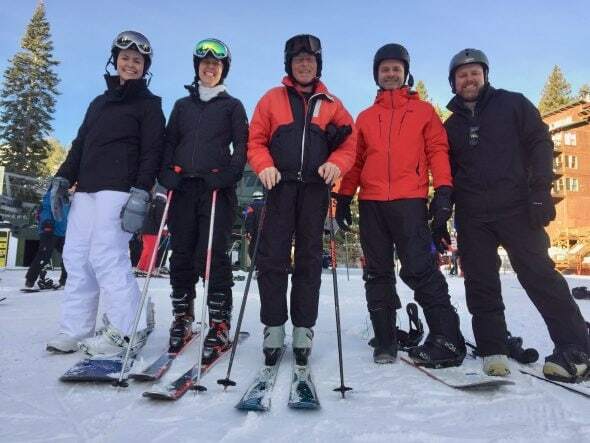 Sort of through happenstance, all four of us kids happened to be available to go, and that’s the first time all of us have been on a ski trip together since 1995, when I was 17. So, this was a pretty special occasion! It was really lovely to be with my family and to have all six of us together. It felt a little like traveling back in time, except that all of us are a lot older now. And I have to say, it was nice to kind of be in the kid position again, where I did not have to be very responsible for anything other than myself. Ahhhh. I’d never been skiing out west anywhere other than Colorado, and I have to say, Tahoe beats Colorado hands down. It’s so nice to not be freezing to death while skiing. And the scenery is just so gorgeous. 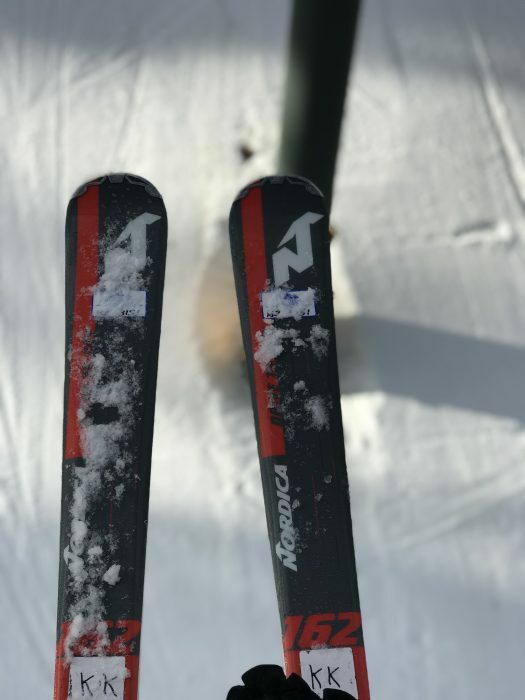 I hadn’t skiied since 2005, but even after a 14 year hiatus, I still remembered how. Kind of like riding a bike. I did have two falls, one of which was a little dramatic (I lost my skis and poles in that one! ), but mercifully, I didn’t get hurt. 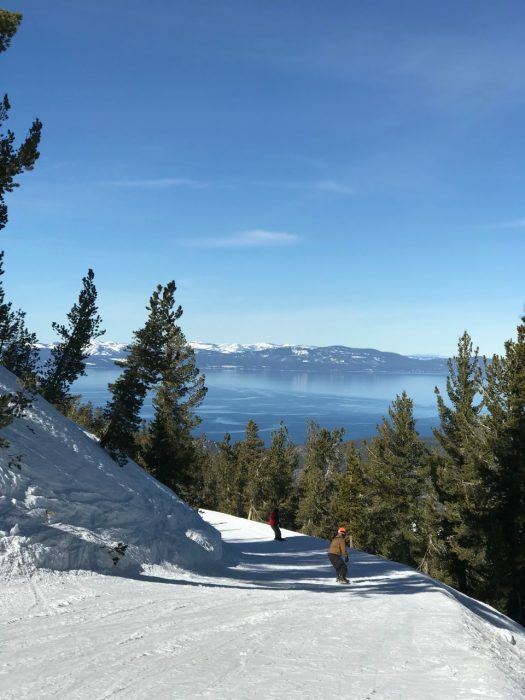 It’s really great to be able to see the lake as you ski down the California side of the mountain. And the lake is beautiful when you get right down to it too. 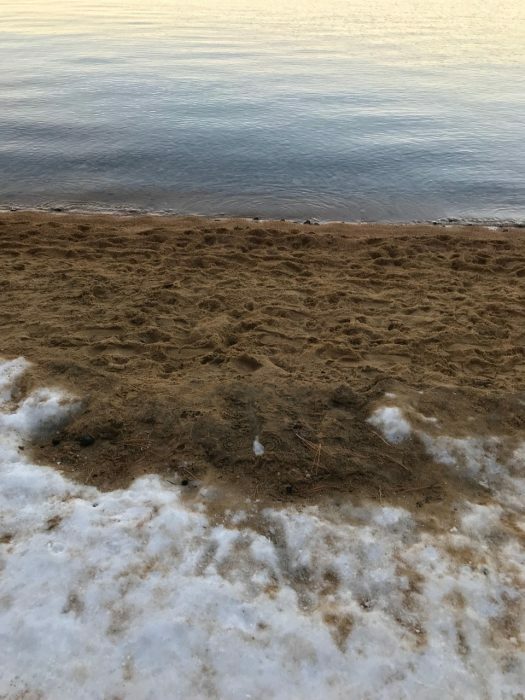 So weird to see snow and sand in the same spot! Between my three siblings and me, we have 17 kids. And delightful as those kids are, it was fun to be together just as adults for a few days. I was telling Mr. FG last night that it was so lovely that all of my siblings could come. Each one of them contributes something special to the group, and it wouldn’t have been the same if even one was missing. Hmm. I don’t seem to have any photos of my mom! She was there, I promise. 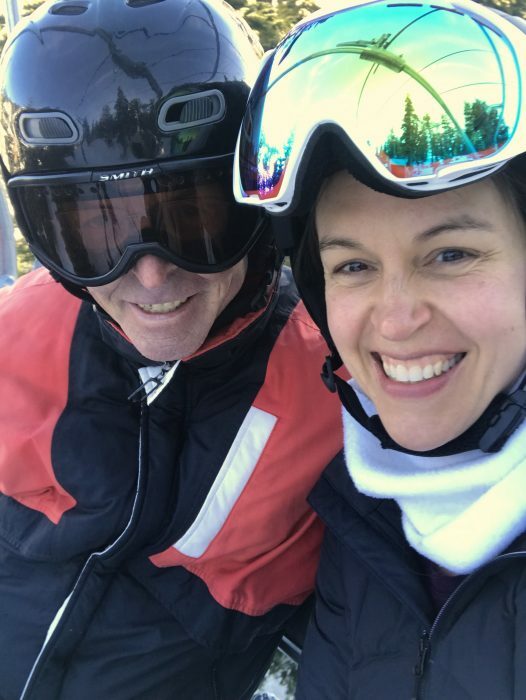 She just cross-country skis now, due to some knee injuries, so I have no lift selfies with her. Anyway. This is why I have no menu post for you today! You might be wondering what Mr. FG and the girls did while I was gone. Well…Lisey stayed here and worked. But Mr. FG hadn’t spent his fun money in a really long time, and he discovered he had enough saved up to take himself and the girls to Disney while I was gone! We used Southwest points for their flights and mine (from our Southwest credit card), so the flying was nearly free. 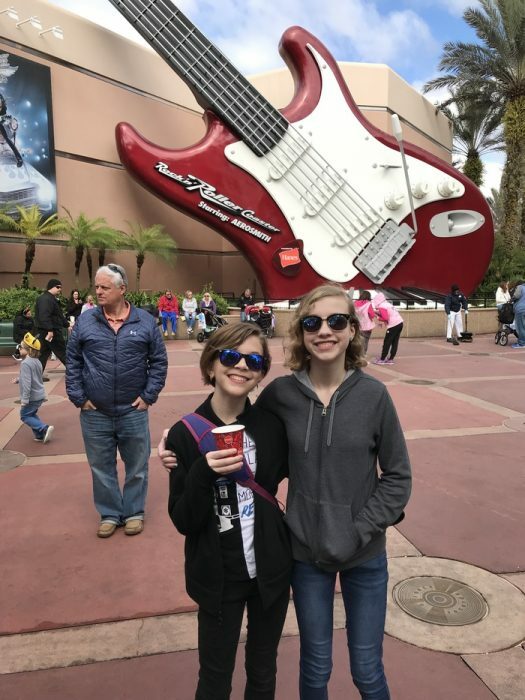 We also signed up for a Disney credit card, which gave us a $200 discount on the park tickets, and he and the girls stayed in a hotel using a friends and family discount from my younger brother. So, that all worked out very nicely. Anyway, we’re all home now, and I’ll be back in the kitchen this week! « What is Hungry Harvest? I know what you mean about having all the siblings together. It does change when even one of our my four sisters is missing. Yep! Each one contributes something special to the group, and there’s a big hole if one isn’t there. So wonderful! I spent a week every summer at Lake Tahoe with my extended family. I have such sweet memories from there. It is fun to see it in the winter. Every time I am near tall cedar trees it reminds me of that place. What a blessing you all got to go and such an added blessing Mr. FG got a special time with the girls. I was thinking it would be beautiful in the summer! There were picnic tables by the lake when we went down there, and I thought that would be a lovely spot to eat in warmer weather. I’m sure a northern California summer is full of perfect weather. What a great week! I feel like this post is so representative of why a frugal life is important to our family. 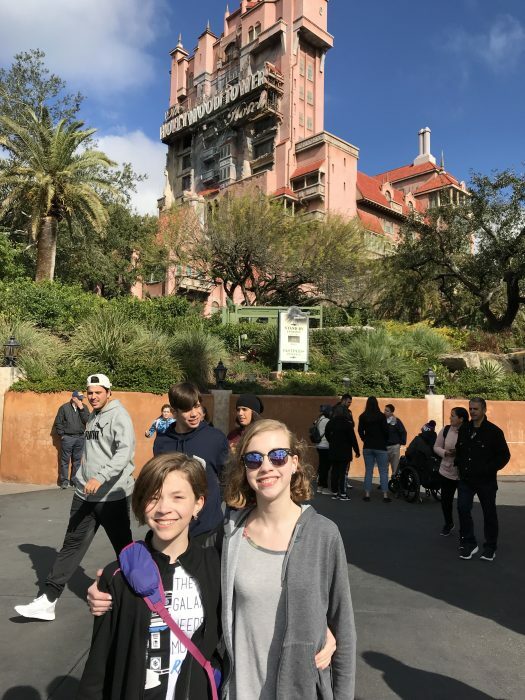 We shop at Aldi and keep an eagle eye on the thermostat (etc, etc) so that we can take advantage of opportunities to see family and head out on fun trips! That’s awesome all the way around! That is incredible. The stunning photos, and the fact that all of you got together without kids. Especially with 17 kids. Between me and my two siblings, we only have seven, and four of those are mine. What was that you said about entering a new chapter of parenthood? Bet you never could have imagined this a decade ago when you were in the trenches with four small children. Thanks for the glimpse of what’s to (possibly) come for those of us still in those trenches. All of us have four kids, with the exception of my sister, who has five. So normally it’s a rather noisy occasion if we are all together. And yes, it is SO much easier to leave my kids now. It’s pretty awesome. My youngest brother’s kids are all still little (his youngest is only 18 months), so his wife deserves the most credit for making this trip possible…she had the hardest job here at home! 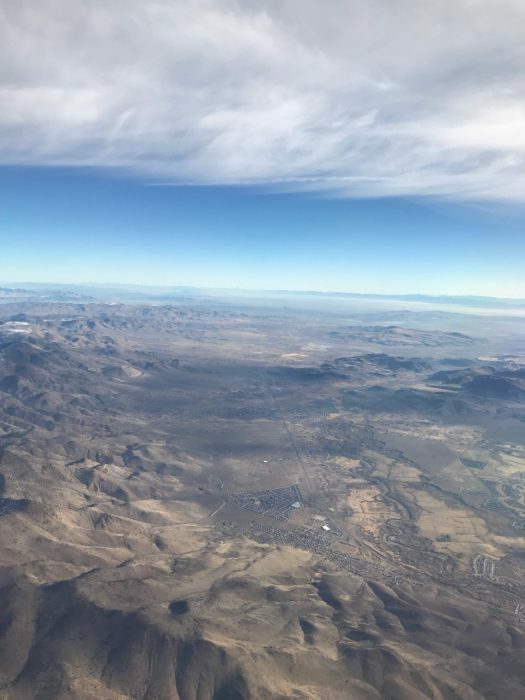 I thought of you as we flew over remote areas in New Mexico, Nevada, and Arizona…I wondered if I was seeing the spot where your husband and son were staying. Sounds like it worked out fantastically for everyone. My brother has mentioned several times that all of us siblings (sadly, both our parents are gone) should meet up in Tahoe but that hasn’t happened yet. I am inspired to urge everyone to get our schedules synced up so we can make that happen soon. And how wonderful that dad saved up his fun money to take his girls on a special trip. BTW, love Zoe’s haircut! Isn’t it cute? I think it suits her so well. What’s funny about this trip is that if we’d tried to get all of us together, it probably would have felt really hard. But things fell into place rather serendipitously. I hope it works out for you and your siblings soon. Your family resemblance is very strong!! Loved seeing the pics of you all together. That looks that a fun week. Wow, I couldn’t believe how grown your “little” girls are in that last pic-they look like teenagers!! Well….Sonia IS a teenager! She’ll be 15 in March. And Zoe is almost a teenager. She turns 13 in the middle of this month. Great. I’m glad you spend the money you save on having fun. 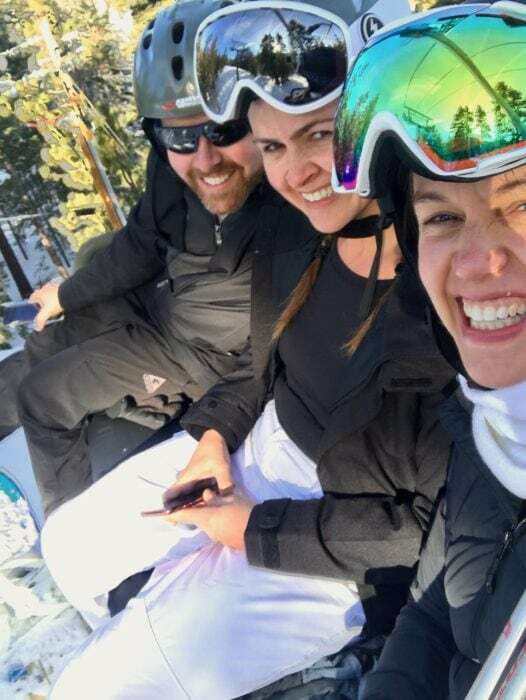 I come from a family that skis and married a man with a similar family, and it’s so so much fun when we get both sides and all the siblings and everyone together! We’re Coloradans though, and I promise skiing isn’t cold all the time here a lot depends on which mountain you go to (my husband calls it “BreckenFridge” (Breckenridge) haha). Tahoe is always great too though! Yes! I skied at Breckenridge, Copper Mountain, A Basin, and Keystone, but always in December. Maybe that’s a bad time of year? I’ve also skied in New England in December and I have lots of memories of freezing there too. Heh. This is my first not-so-freezing ski experience! I am a Colorado skier as well. We rarely ski in December though. Too busy. And since we live here, we can ski only when it’s 20+ and that’s plenty warm enough for skiing since it’s almost always sunny. We go up about 10 times a year and once a year for a week. We skied in Canada this year too. At Whistler. Just beautiful!! Lake Tahoe is 30 minutes from my house, up the mountain and down to the lake. And we never go. It’s right there! It’s funny that when we think of vacationing we never look to our own backyard. Yosemite is 3 hours away and we’ve never been there. We keep saying someday. My sisters and I had a first time ever sister trip last February to Cabo, a place none of us had ever been. There were four of us and it was almost perfect except our brother couldn’t be there. We will do it again for sure. So glad you had a good trip. Aww, I was right in your neighborhood! It’s great to get the old family together, isn’t it? My parents are gone, but in the few times I can gather with siblings and cousins, we go right back to the old days of visiting together at my grandfather’s house and having so much fun! Love it! Awesome! So glad you all got to do such special things and make wonderful memories. That’s awesome for you all! Frugal question, what percentage or sum is put away for “fun money” every month? I recall you had a post once about separate savings accounts for things such as Christmas money etc. Maybe a refresher? I’ve been trying to follow our expenses more closely for a few months to see the monthly averages and how much we could put aside in advance, but it’s been harder than I thought with lots of surprise expenses draining the extras. What a fun week! Glad you got to get away. I love this post! I am older than you (50) but am just realizing how trips like this and time with family are truly a gift! So happy for you! 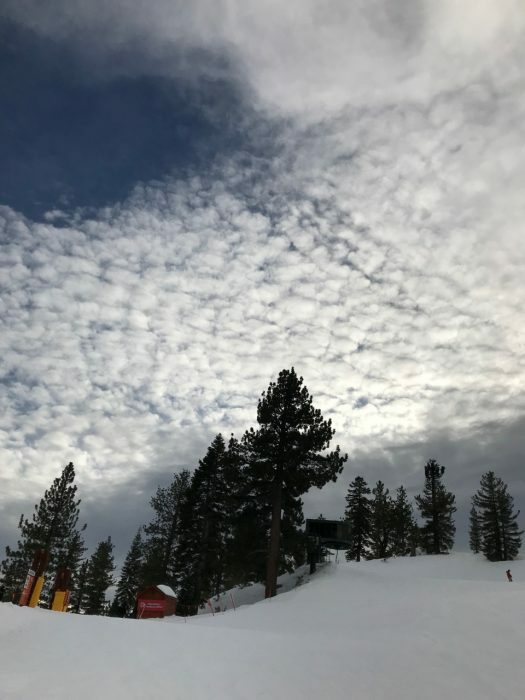 Did you guys ski Heavenly? 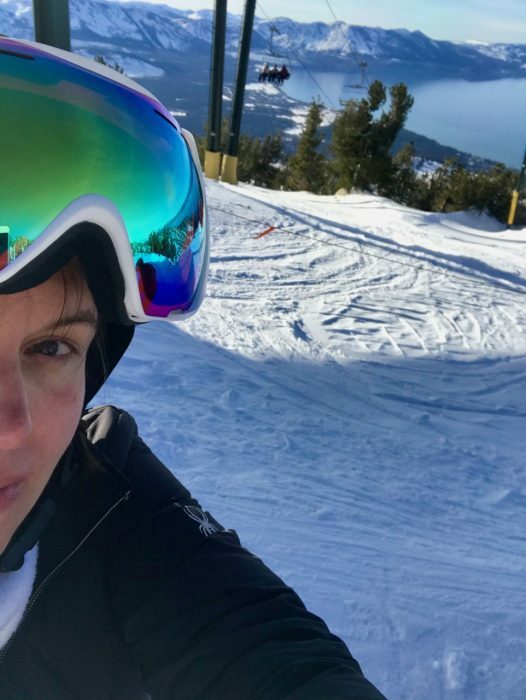 My future mother-in-law is from there, and when we went to visit, I learned to snowboard (for the very.first.time.ever.amen) on that mountain! Myyyyy goodness. It was fluffy, gorgeous, and the lodge was pretty fabulous too! I did get sick in the backseat of the car going up and down the hills around the lake though… Woof. Not for faint of heart. Must say: Zoe’s haircut is AMAZING. She looks so grown up! What a fun trip! And you were in my neck of the woods! It is beautiful, summer and winter. How nice to have some sibling/mom time! Skiing in Tahoe is so fun. But to do it with your parents and siblings for the first time in years is super amazing! Looks like you had a great time. You know what they call that kind of fall? A yard sale. Hee. So glad you got to do this! I live about three hours from Tahoe (five hours in traffic home, lol) and I haven’t been in way too long. The combination of skiing and gambling draws people from all over the world. I used to get in the single line because I loved the conversations I could have with random people on the lifts. But being with family is so much better than chatting with random strangers by a long shot! One thing I notice is that all of you look fit and healthy. It’s awesome that your parents instilled good genes and good habits in each of you! And to top it off, you did it frugally, for the win! Yep, that’s exactly what we call it. In fact, I texted Mr. FG and said, “I had a yard sale!” But I didn’t use the phrase in my post because I wasn’t sure how many people were familiar with it and they might be really confused! 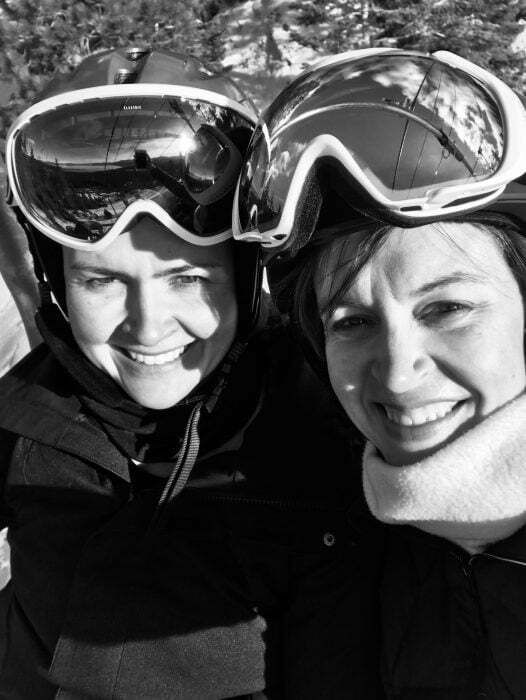 I love riding with random people on the lift too; so fun to hear people’s stories. My dad often downhill skis by himself while my mom cross-country skis and he rather enjoys chatting with people on the ride up. I live near Tahoe in a tiny town called, Volcano, CA. 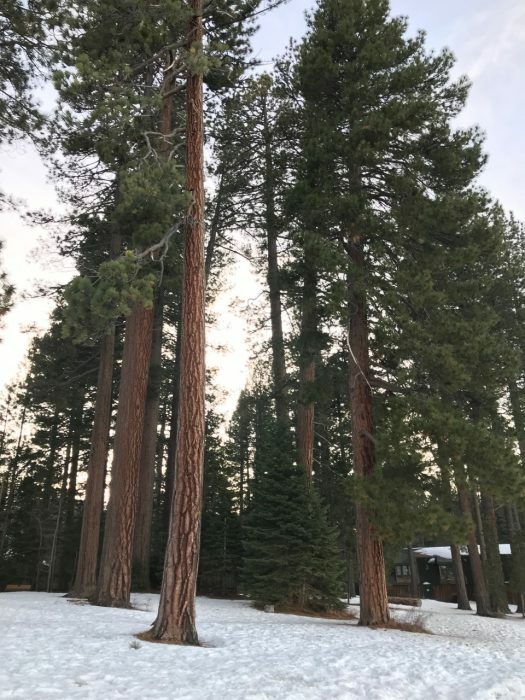 I was in Tahoe while you were there! How exciting! Tahoe is also great in the summer! Oh, fun! And yes, I was thinking it must be just fantastic there in the summertime. Probably gorgeous weather and scenery. You are lucky to have all your siblings getting along and wanting to spend time together!! Cherish it! I only have one sister but because of mental health issues (hers) we are not able to have a relationship. It’s always nice to see siblings loving each other! What a great trip you all had! I know even Florida was kind of cold. I cannot even imagine how cold that feels. No envy here! Awe… what an awesome family you have! 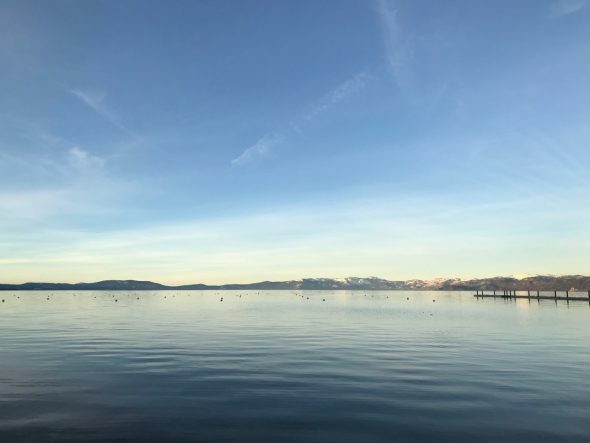 I live Tahoe. I live pretty close and go every weekend in the summer. Looks fabulous! 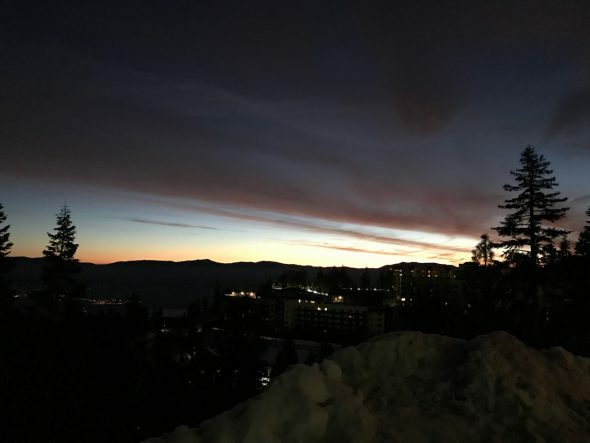 We are close to Lake Tahoe, and have skied a few times this winter, & head back for “ski week” in February. We are skiing a Heavenly. Fingers crossed for great weather, as we’ve had a few unlucky days so far. The weather in northern California is a nice mix for sure. And, I love spending time with my “original” family. My sister is one of my two best friends, & I can’t imagine my life without her. She is my girls trip travel partner! I’m hoping I can surprise her with a trip to Hawaii this summer, while I’m on sabbatical from work. Being older–more of your parents’ generation–I have to say that gatherings like this are among the best things you can do for your parents. It always feels so good to have all the “kids” under one roof or at one activity. And when all the grandkids AND their parents are together, it’s a happiness explosion in my heart. Your parents must be so proud of you and grateful for this special time together. Thank you for writing about your family. Love Zoe and Sonia’s styles! Excellent point, Gail! I am of a similar age to you perhaps, and my father expressed concern some years ago that my sisters and I rarely see each other. Not only does he want us to be friends, he is concerned about tensions after he dies and problems dividing up his estate, issues he has seen in other families. Fortunately, he has no need to be worried about that and we have told him so. We live far apart and don’t know details of each other’s lives, but we are in harmony on the big things in life, as he and my mom taught us is what family means. Beautiful gathering! I am 90 min away and you are right, beautiful all year round. Glad you had a lovely time and thank you for sharing! This is off topic but I was wondering if ALDI is on instacart in your area? They just added it for us. I’m not sure if the prices stay the same though! I’d never checked but I just did, and the answer is yes! I’ve never tried Instacart before. Do you like it? I am so-so on it. I find that sometimes the shoppers won’t make good substitutions if the store is out of something, so I’ve ended up with $7 eggs when I ordered the $3 ones. But it can be really convenient if you just can’t make it to the store (especially with small children). So glad you were able to enjoy this time with your siblings! My sisters (all three of them) and my mom have made an annual tradition of having a girl’s long weekend once a year. It’s such a special time together. 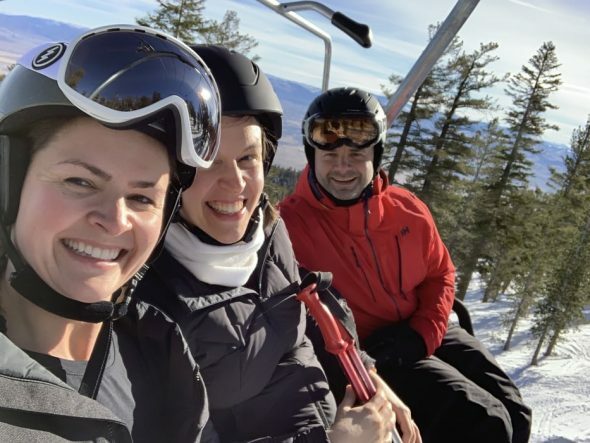 In 2018, one of my dear nieces (30-something years old) joined us for the first time, so it was extra-special. We hang out in our sweats, talk, laugh, eat great food (carry in or delivery), and catch up. Wouldn’t miss it for the world.